Each day students are greeted at the classroom door by their teacher. Every visitor to a classroom is engaged by a student using foundational communication skills that create mutual respect, set expectations and prepares the student for future life skills. 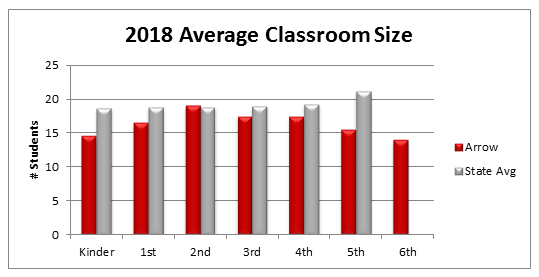 Our average class size is smaller than the state average. This facilitates a safer, more close-knit environment that allows for individualized and small-group instruction. We provide three free uniform shirts to all students each school year. Uniforms help to ensure equality and, as young scholars, honor who we are inside and outside. 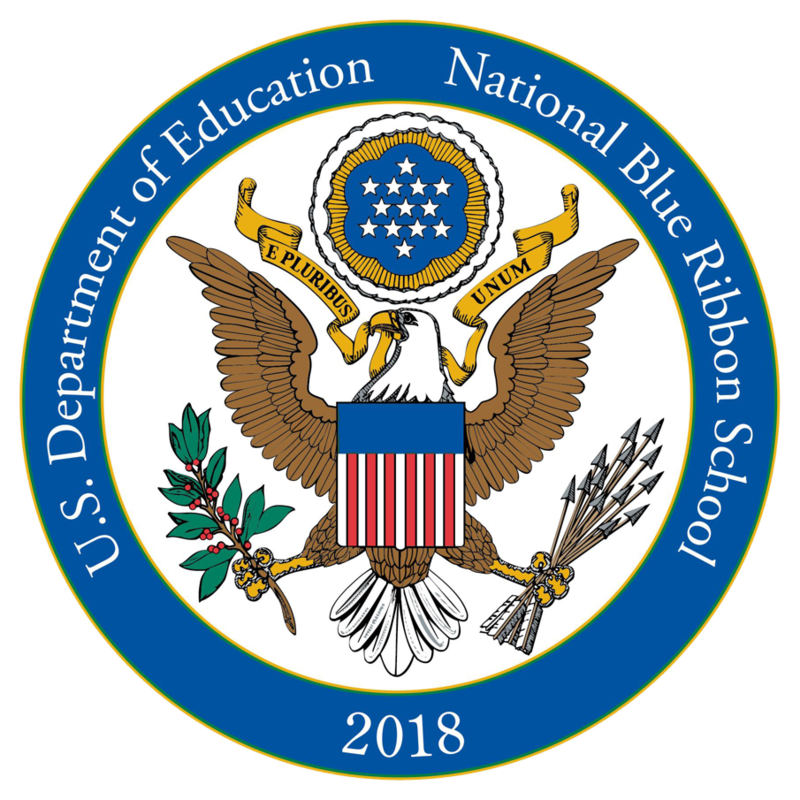 Our culture is to provide fair treatment, a bully-free education, and relationships filled with respect and integrity between staff and students. Free breakfast and lunch is provided to all students. Our tagline, Direction Determines Destination, aligns our Arrows in a unified direction toward improving every student academically, regardless of their current academic performance level. We focus on each student individually and accelerate the learning process to take them from where they are to where they need to be. Texas public schools are required to take State of Texas Assessments of Academic Readiness (STAAR). 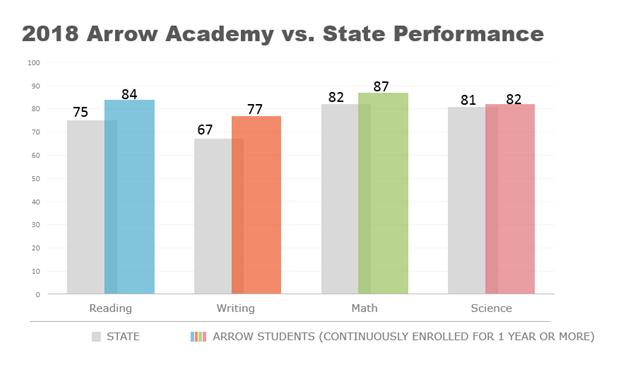 In the most recent academic year, Arrow Academy outperformed the state average in EVERY subject. 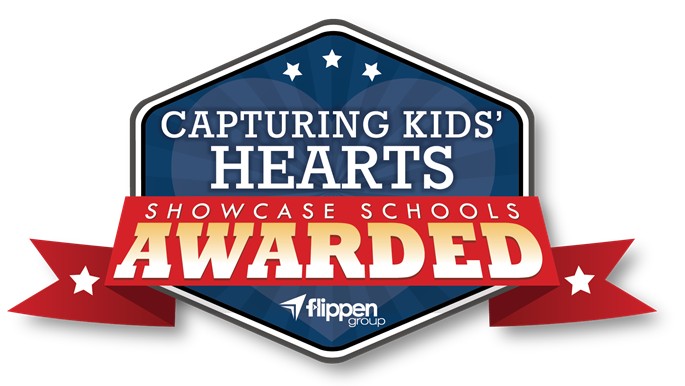 Are you seeking a school for your child that prioritizes relationships as the foundation to student motivation and success? At Arrow Academy, we take great pride in our effort to develop students based on caring and supportive learning environments in every classroom through a positive and competent teacher, personalized instruction, accelerated academic growth, and a genuine interest in every child's future. We want to welcome you to visit our schools, and we hope Arrow Academy is a part of your child's future.